Molly Rotenberger says her last 15 years have been all about being better than her sister. 17-year-old Madison Rotenberger's competitive spirit makes her a worthy rival, but Molly is up to the task. 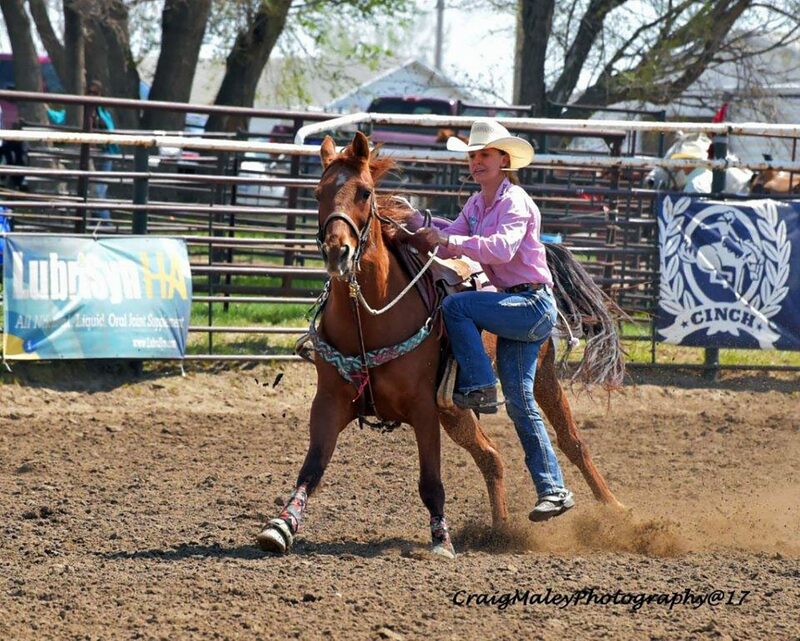 The pair from Ludlow, South Dakota, took first and second in goat tying at the North Dakota High School Finals Rodeo, earning them each a spot at the national competition in Rock Springs, Wyoming, July 15-21, 2018. Anyone with a sibling knows that it is not always easy to work together. For the Rotenberger sisters, they say working together is what makes them better. "It's friendly competition, and I always have a partner to train with," said Madison. "We do everything together," said Molly, "it's great because everything we do gets done twice as fast." Rodeo runs deep in the Rotenberger family. The girls say they started riding horses before they could even crawl, and their parents have always been involved in the sport. From day one, Molly says her sister Madison is what has kept her reaching for the stars. "I always wanted to be as good as my sister," said Molly, "If not better. She set the bar high for me." Molly said her goal for her first year of high school rodeo was to beat her sister, even if it was only by a point. 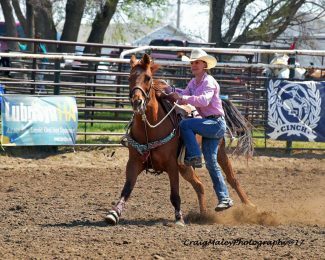 The older Rotenberger sister won the North Dakota High School Finals Rodeo by a stretch of 10 points, but Molly says their practicing together is what prepared her to take second place. The two sisters rodeo together, show goats together, work cattle together and even share a horse for goat tying. The elder sister trained their mare, Handy. Not only can they jump off Handy to tie goats, but they also breakaway rope, team rope, pole bend and do ranch work on her at times. The horse has earned her spot on the Rotenberger Ranch. "That horse will be here until the day she dies," said Molly. Madison said the training process for Handy was an easy one. "That horse is just so smart," said Madison. Training started when Madison attended a goat tying clinic put on by their neighbor Kayla Nelson. Handy was picked up for the day to test out as a breakaway horse. Madison took a few trips down the fence while swinging her leg over, and then a few more with full dismounts. It wasn't long into the day when it was discovered Handy would be quite the goat tying partner. "It took her maybe two hours to figure out," said Madison, "Most horses can't figure it out that quickly." The youngest Roteneberger child, Riggs, also uses Handy as his breakaway and team roping horse. She serves as a backup to Madison and Molly if anything were to happen to their other horses. "Because of rodeo, you need multi-event horses," said Madison "She is a horse who can do many different things." Handy can take the girls to first and second place in goat tying and still run 21-second poles. Madison says there are a few younger horses on the ranch now being trained by the girls. The goal is for those horses is to make it to the "A-Team": the Rotenberger sister rodeo string. 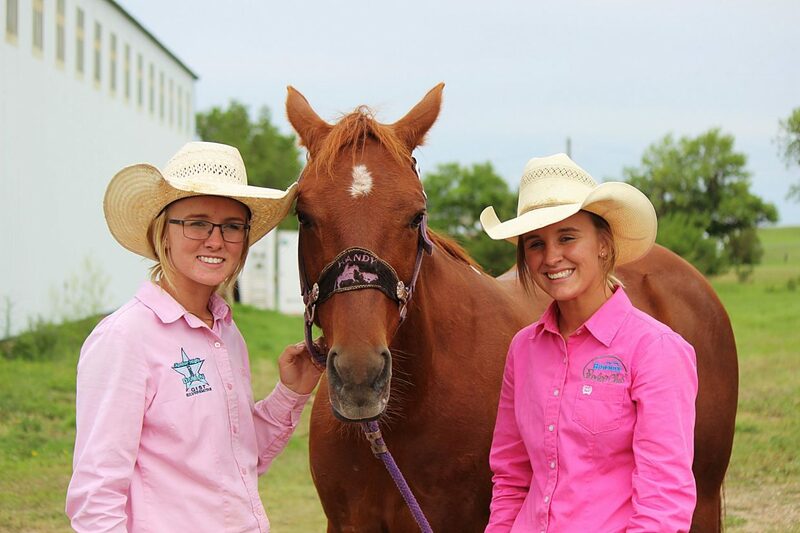 Madison and Molly both hope to continue their rodeo careers into college. Madison is hoping to get here on a scholarship, and Molly has a few years to consider her options. One thing Molly has considered: Handy going away to school with Madison next year. "I don't know if there will ever be another horse like her," said Molly. Molly is on the lookout for a horse of her own now, with a hope to make it to National Finals in the upcoming years. She would then like to compete in college, just like her mom. "My mom was wicked awesome, and that is what I hope to be," said Molly. Going to national level rodeos is nothing new for Madison, this will be her fourth trip to one. 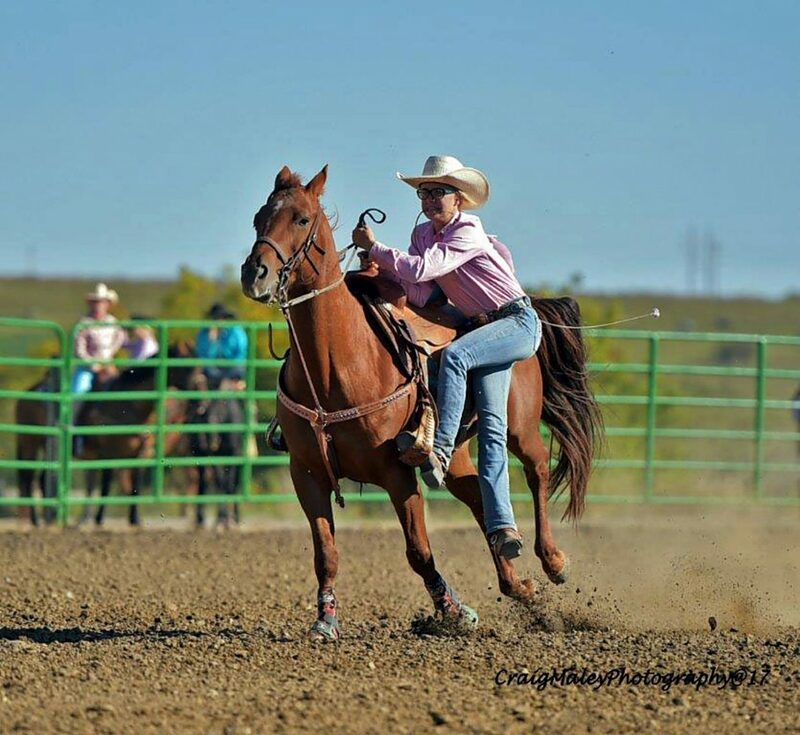 She attended twice in junior high, and qualified last year for the National High School Rodeo. She says the lights, sounds and pictures won't be throwing her off her game this year. Molly on the other hand, will be attending for the first time as a high school competitor. She says she hated goat tying until her 8th grade year when she was the North Dakota State Junior High Champion. Now, she has big goals for the National Finals. "I am pretty nervous" said Molly, "I want to have fun and make it to the short go at least." Both sisters say each trip is a family affair, with their real family and they rodeo family they have been competing with for years. This year, the Rotenberger family will have a nice getaway to Rock Springs, where the sisters will tie fast and cheer loud for one another .